Doug Hammond has been involved in commercial real estate since 1990, during which time his responsibilities have included client liaison, finance/loan negotiations, legal, corporate management and investor relations. Prior to forming RED Partners, Doug was a principal and founder of JDH Development and Director of Finance at Chartwell Properties. Previous to that he held positions in lending, finance and marketing with Bank of America and Wells Fargo. 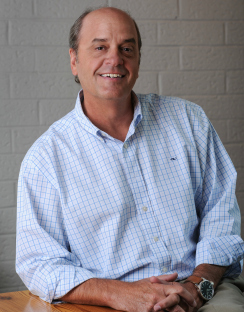 He is a former member and board chair of Hospitality House of Charlotte and currently serves on their advisory board. Active in his church as a deacon and finance chair. Enjoys golf, coaching youth basketball, and travel. Doug is married and has four children and lives in Charlotte.